While spring is on everyone's mind, mine is still stuck in winter (you can blame the D.C. weather). As I mentioned in this post, I am trying to expand my coat collection into an array of beautiful colors. While I shopped the racks at H&M a few weeks ago, I was immediately attracted to this coat! While it is a bit on the oversized side, it was the only one in-store and I knew I couldn't pass up! While my exact coat is sold out, the gray one is still available! While I am not one to always match, I found these Zara kitten heels and were the perfect match! 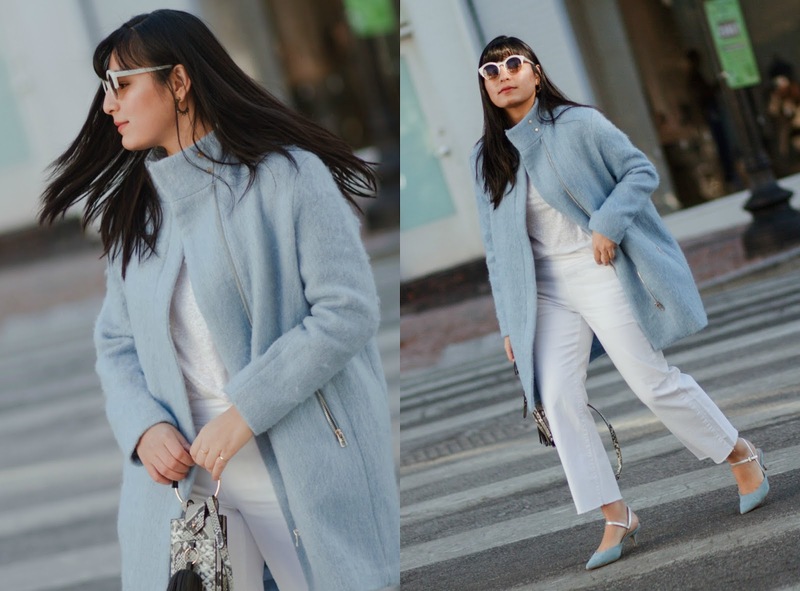 I have also listed some of my favorite coats I've been eyeing this season! Someone, stop me!